Nickname: Sam. Alternate Spellings of Surname: Sturdevent, Sturdivant. Jefferson Medical College (Library of Congress, c. 1850). Born on 20 February, 1831 in Skinner’s Eddy, Wyoming County, Pennsylvania, Samuel Burton Sturdevant was a son of John Sturdevant of Skinner’s Eddy and Sarah (Fassett) Sturdevant, who was also a native of Wyoming County. An Allopathic Physician, he graduated from Thomas Jefferson University’s Jefferson Medical College in 1856, and began his private practice in Dunmore, Lackawanna County that same year. Before the dawn of a new decade, he wed Olive Leach, a daughter of Squire Leach of Providence (Scranton). Together, they welcomed Lillian, their first child, to Providence. When his life was over, he would be recognized by regional newspapers as not only a compassionate physician, but as as successful and civic-minded business leader and government official in his community. Enlisting in the 139th Pennsylvania Infantry on 11 February 1863, Samuel B. Sturdevant, M.D. was commissioned as an officer and Assistant Surgeon. Sturdevant was promoted to Full Surgeon when mustering out 19 August 1864. He then re-mustered in that same day at Petersburg, Virginia, but with a different regiment – the 84th Regiment, Pennsylvania Volunteers. He was commissioned as an officer on 19 August 1864 at the rank of Full Surgeon. A few months later, he again mustered out, this time on 13 January 1865. Mustering in for the third time on 1 March 1865, he was commissioned as an officer with the 47th Regiment, Pennsylvania Volunteers at Stevenson, Virginia at the rank of Surgeon. Duties during his tenure of service included caring for 47th Pennsylvania Volunteers while they were charged with defending the nation’s capital following the assassination of President Abraham Lincoln and involved in guarding the assassination’s key conspirators during the early days of their imprisonment and trial, and while they were assigned to Provost (military police) and Reconstruction-related duties (repairing railroads and other key elements of the region’s infrastructure) in Savannah, Georgia and Charleston, South Carolina. After mustering out with his regiment at Charleston, South Carolina on 25 December 1865, he returned home to Pennsylvania. 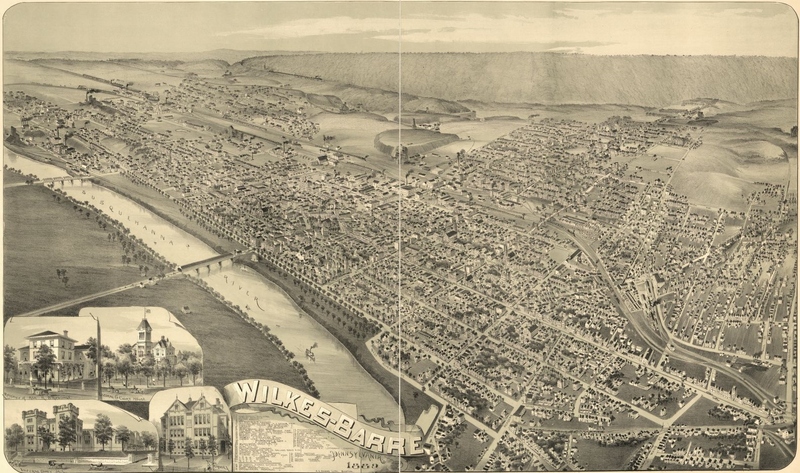 Wilkes-Barre, Pennsylvania, c. 1889 (public domain). In 1870, Samuel B. Sturdevant, M.D. and his family continued to reside with his wife’s parents in Scranton, Lackawanna County. By 1880, they had moved out on their own, and were residing in Wilkes-Barre, Luzerne County. 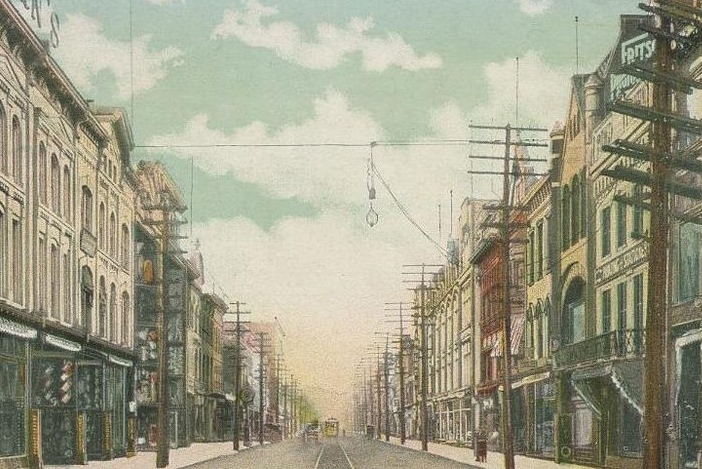 South Main Street, Wilkes-Barre, Pennsylvania as seen from Public Square, c. 1906 (public domain). Since his coming to Wilkes-Barre he had never engaged in the practice of his profession but for a number of years was associated with his brother, now deceased, in conducting a china store on South Main street. S. B. Sturdevant later served several terms as a city assessor before retiring from professional life in the late 1890s. Following a brief illness, he passed away at the Wilkes-Barre home of his son-in-law, H. G. Shupp, on 21 October 1909. He was interred at Hollenback Cemetery on 23 October 1909. Arrangements were handled by the C. F. Murray Funeral Company of that same city. Surviving family included his son, Richard Sturdevant (Leadwood, Missouri) and daughter, Mrs. H. G. Shupp (Wilkes-Barre); and a sister, Mrs. S. G. Beach (Philadelphia) and brother, W. H. Sturdevant (Wilkes-Barre). 1. Bates, Samuel P. History of the Pennsylvania Volunteers, 1861-5. Vol. I. Harrisburg, Pennsylvania: B. Singerly, State Printer, 1869. 2. Civil War Veterans’ Card Files, 1861-1866. 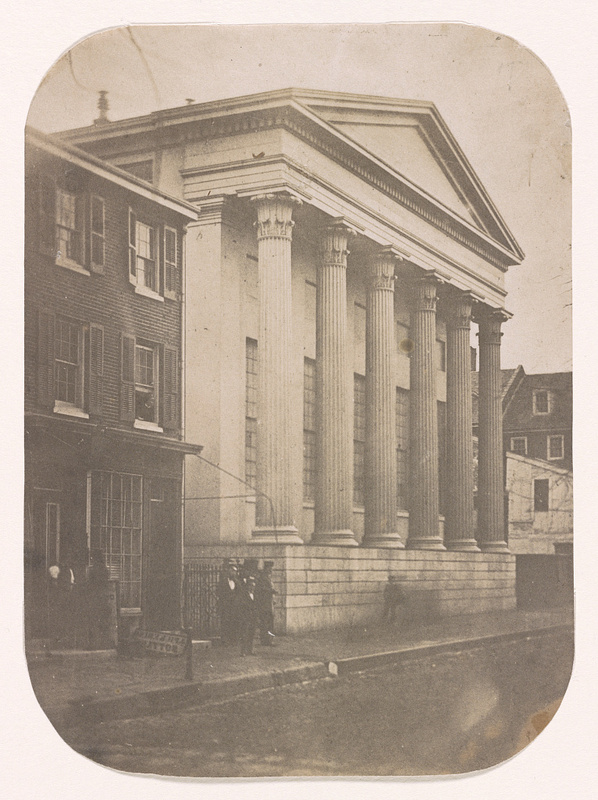 Harrisburg, Pennsylvania: Pennsylvania State Archives. 3. Death Certificate (Dr. Samuel Burton Sturdevant). Harrisburg, Pennsylvania: Commonwealth of Pennsylvania, Bureau of Health. Department of Vital Statistics. 4. Directory of Deceased American Physicians (Sturdevant death notice). Salt Lake City, Utah: Ancestry.com, 1909. 5. Journal of the American Medical Association (Sturdevant death notice). Chicago, Illinois: The American Medical Association, 1909. 6. The Scranton Republican (obituary of S. B. Sturdevant’s wife, Olive, 1 January 1894; brief notice of S. B. Sturdenvant’s sudden illness, 19 October 1894; brief notice of Richard Sturdevant’s illness, 27 June 1895). Scranton, Pennsylvania: 1894-1895. 7. The Wilkes-Barre Record (page 1 obituary of S. B. Sturdevant, 22 October 1909). Wilkes-Barre, Pennsylvania: 1909. 8. U.S. Census (1850-1900). 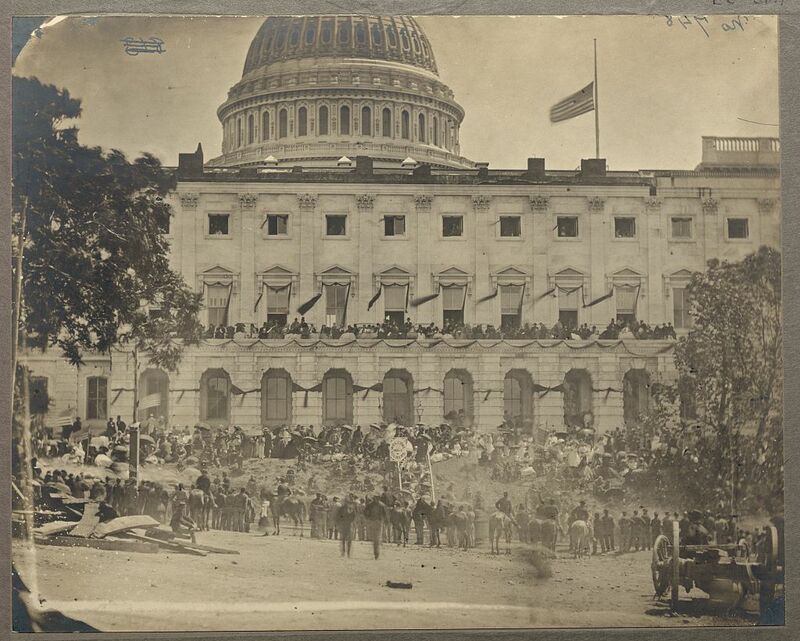 Washington, D.C. and Pennsylvania: U.S. National Archives and Records Administration. 9. U.S. Civil War Pension Index (application no. : 1267827, certificate no. : 1029549; filed from Pennsylvania by attorneys at Twombly and McGetrick 8 May 1901; remarks by DH: 2546251). Washington, D.C.: U.S. National Archives and Records Administration.